Banking stocks led the losses with the BSE bankex falling 349 points or 1.17% to 29,357. 48 level. Bank Nifty too fell 291 points or 1.10% to 26,182 level. 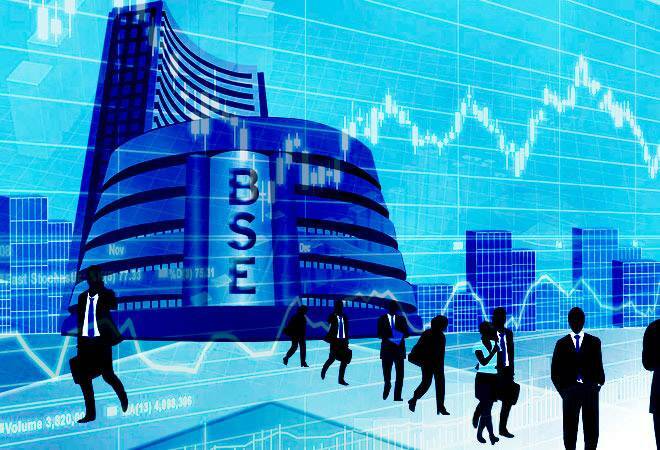 The Sensex and Nifty closed lower in trade today as uncertainties around the formation of the next government in Karnataka hurt investor sentiment. While the Sensex fell 156 points or 0.44% to 35,387 level, the Nifty was down 60 points to 10,741. Banking stocks led the losses with the BSE bankex falling 349 points or 1.17% to 29,357. 48 level. Bank Nifty too fell 291 points or 1.10% to 26,182 level. In fact, banking stocks were among the top Sensex losers with ICICI Bank falling 3.28%, Reliance Industries (2.34%) and SBI down 2.19%. Oil and gas stocks were not far behind with the BSE oil and gas index losing 232 points or 1.58% to 14,499 level. On the positive front, Hindustan Unilever (3.84%), ITC (1.47%) and Wipro (1.44%) were the top Sensex gainers. The ITC stock closed higher as the firm reported a 9.86 per cent increase in standalone net profit at Rs 2,932.71 crore for the fourth quarter ended March 31, 2018. The company had posted a net profit of Rs 2,669.47 crore in the January-March period a year ago, ITC said in a BSE filing. VK Sharma, head private client group & capital market strategy at HDFC Securities said, "PSU Banks led the slide after PNB posted its first ever operational loss. The index was down 3%. Bank Nifty fell 1.10% and the Financial Service Index 1.03%. Markets will now look at the international news and events in a more engaging manner. The rupee was up by 19 paise at the time the equity markets closed at 3.30. We are advising investors to invest in the Life Insurance Sector companies , Asset Management companies, Housing and the FMCG sector." Reliance Communications, Syndicate Bank and PNB were the top three losers on the BSE. The Reliance Communications stock closed 15.26% lower at 10.55 level today after the National Company Law Tribunal (NCLT) accepted an insolvency petition filed by Swedish communications equipment major Ericsson against the Anil Ambani firm and two of its subsidiaries seeking to recover Rs 1,150 crore. The stock fell up to 20.08% in trade today and hit an intra day low of 9.95 level on BSE. The Syndicate Bank stock fell to more than a nine-year low level in trade on Wednesday after the public sector lender reported its biggest ever quarterly net loss of Rs 2,195.12 crore in Q4 ended March 31, due to high bad loans that required higher provisioning. The bank had posted a net profit of Rs 103.84 crore in the corresponding January-March quarter of 2016-17. In December quarter, the lender posted a net loss of Rs 869.77 crore. The stock closed 12.30 percent or 6.15 points lower at 43.85 level on BSE. The Punjab National Bank stock closed 12.15% lower to 75.55 level on record quarterly loss, the biggest ever by any domestic lender, as bad loans surged. The stock fell to 74.30 level intra day to its fresh 52 week low on weak Q4 earnings. The bank hit its 52 week high of 231.60 on October 26, 2017. The stock started falling after the bank was hit by Rs 11,400-crore scam committed by Nirav Modi in February 2018. The lender on Tuesday reported Rs 13,416.91 crore net loss for the quarter ending March 31, 2018 compared with standalone profit of Rs 261.90 crore in the fourth quarter of the preceding fiscal 2016-17. Meanwhile, global brokerage Credit Suisse is "underweight" on Indian equities in an Asia Pacific context, as the domestic equity market's premium has risen to the highest level. The global financial services major in its strategy report said the MSCI India index has fallen by the least as against Indonesia and the Philippines. According to the report, India fell just 9.9 per cent from the highs versus falls of 19 per cent for both MSCI Indonesia and MSCI Philippines. "With continued downgrades to consensus EPS and weak ROE, India's premium on our P/B vs ROE valuation model has now risen to 64 per cent - close to its highest ever," Credit Suisse Research Analysts Sakthi Siva and Kin Nang Chik said in the note. World share prices were mixed Wednesday, with European benchmarks posting modest gains after a day of losses in most major Asian markets. China-US trade talks, North Korea's cancellation of meetings with South Korea and weaker than expected Japanese economic growth weighed over sentiments. Germany's DAX added 0.2 percent to 12,992.35 and the CAC 40 of France edged 0.1 percent higher to 5,559.51. Britain's FTSE 100 rose 0.2 percent to 7,739.10. The future for the S&P 500 climbed 0.1 percent to 2,712.40 and the future for the Dow also gained 0.1 percent to 24,687.00, pointing to early gains on Wall Street. Japan's Nikkei 225 stock index lost 0.4 percent to 22,712.23 and the Kospi in South Korea edged less than 0.1 percent higher to 2,459.82. Hong Kong's Hang Seng slipped 0.1 percent to 31,110.20, but the S&P ASX 200 added 0.2 percent to 6,107.00. The Shanghai Composite index dropped 0.7 percent to 3,169.57 and shares in Southeast Asia were mixed. Benchmark US crude oil gave up 27 cents to $71.04 per barrel in electronic trading on the New York Mercantile exchange. On Monday it rose 35 cents to settle at $71.31 a barrel. Brent crude, used to price international oil, shed 49 cents to $77.94 a barrel in London.